Today I decided to write about a new successful Kickstarter project. 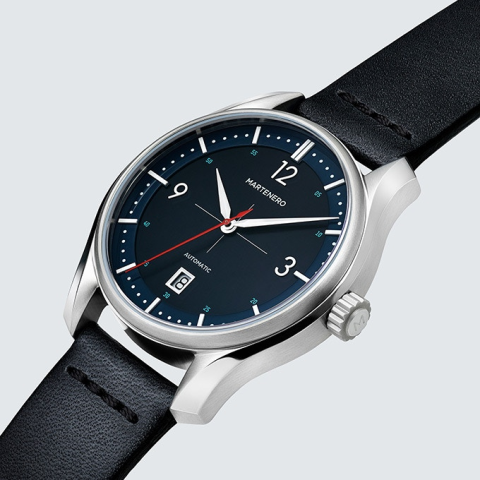 This one is from Martenero Watches. A young company based in New-York City and founded back in 2014 by John Tarantino. I follow their work from a long time right now and for one main reason – The originality which is one of their core value. Their design philosophy revolves around creating clean and modern designs that stand apart through subtle details and unique colorways. I admit that I’ve been a fan of their Edgemere collection for a long time, so when I heard about this new campaign I was quite excited. And finaly I had the chance to try the new Kerrison during Wind’Up watch show in NYC some weeks ago. This one takes the same design code than their other collections (unless the Edgemere of course) but this time with some more refined details. Classy yet sporty the Kerrison has a 42 mm stainless steel case with twisted lugs and polished + brushed finishing all around. This association gives you the possibility to play with the light, but more than that, it gives you the sensation that the watch is smaller than 42mm… Well of course, the fact that the watch is only 10.8mm thick definitely helps you to have this sensation. 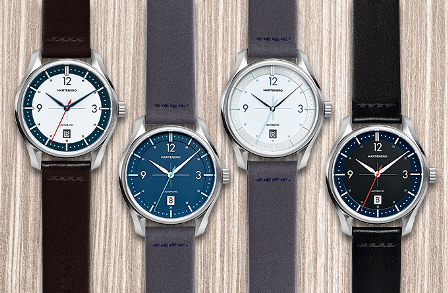 When continuing to look at the whole collection you can easily understand why the Kerrison is more than an “affordable watch”… A premium look given by all the details that you can find on every models. 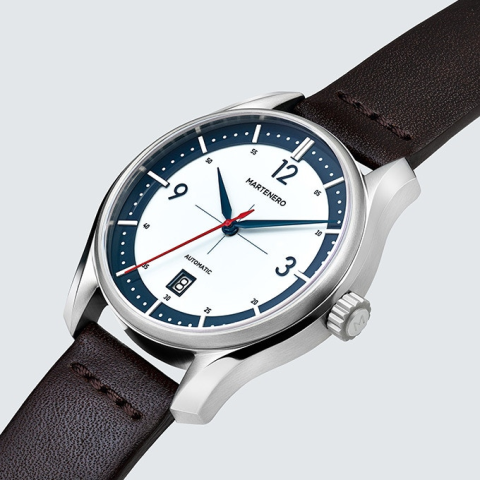 A multi-layered dial with applied numerals and indexes, and of course a wide variety of finishing. Let’s be clear on that point. First thing to know is that there are four color combinations available. My favorite is the White & Blue and this one has a gloss finish which really combines well with the blue outer ring and the red second hand. The dark blue has a matte finish and bluish green indexes and second hand… A nice contrat I must say. The white & silver version has a sunburst finish on the outer ring, a white background and a soft blue second hand that offers a touch of color. Definitely this one is the dressier piece of the collection. And finally you have a black & dark blue version with black matte interior and gloss blue outer ring. The mint numerals and a red second hand give it additional pops of color. 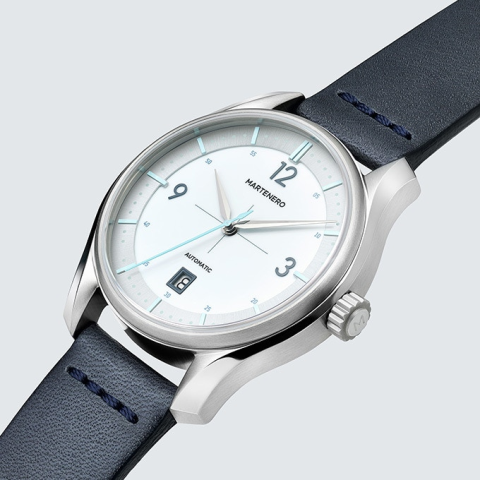 The Kerrison is powered by a Miyota 9015 movement that registers at 28,800 beats per hour. Right now we know that it is of very high quality and it’s similar in accuracy to much more expensive Swiss movements… Even if it’s a Japanese movement. 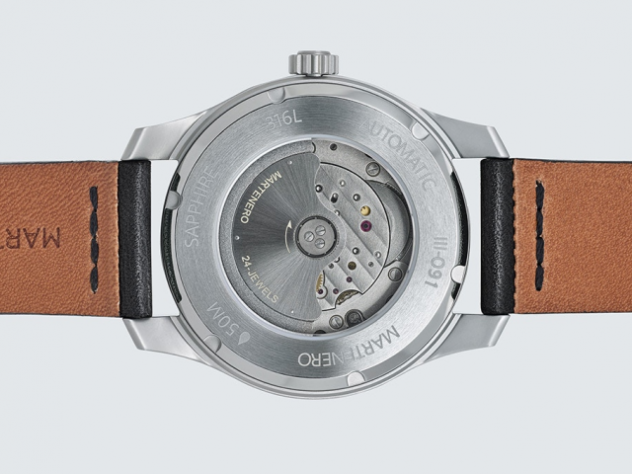 It’s an automatic movement, so it will wind itself naturally as you wear it. It’s hacking, meaning that the second hand stops when you set the time, allowing for more accurate time setting. And with a power reserve of 42 hours, this is watch you can set aside for a while and it will continue to tick away. Well in my opinion, everything is nice with the new Martenero Kerrison collection. Hey, what more do you want? Here you have an affordable watch with a high feeling when having it on the wrist. If you want more info you can jump on their Kickstarter campaign.